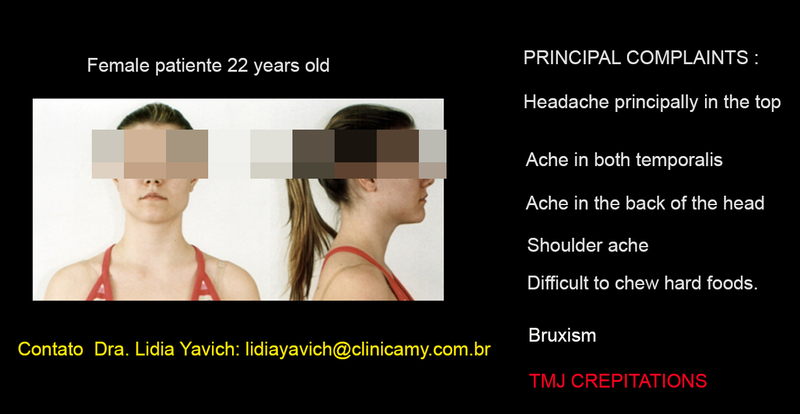 Female patient 22 years old comes to the clinic with a strong headache principally on the top, pain on both temporalis, pain on the back of the head and on the shoulders. Difficulty in chewing hard food, crepitations on both temporomandibular joints. 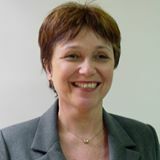 She reports bruxism since childhood. Patient with joint hipermobility. Patients with ligament hipermobilty present more risk to develop articular pathology. 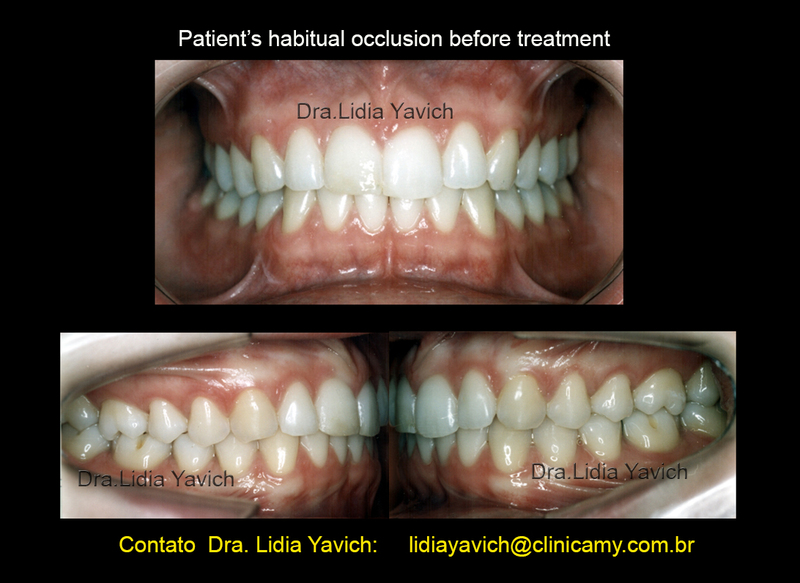 Initial occlusion of the patient before treatment. Superior and inferior occlusal view of the patient before treatment. 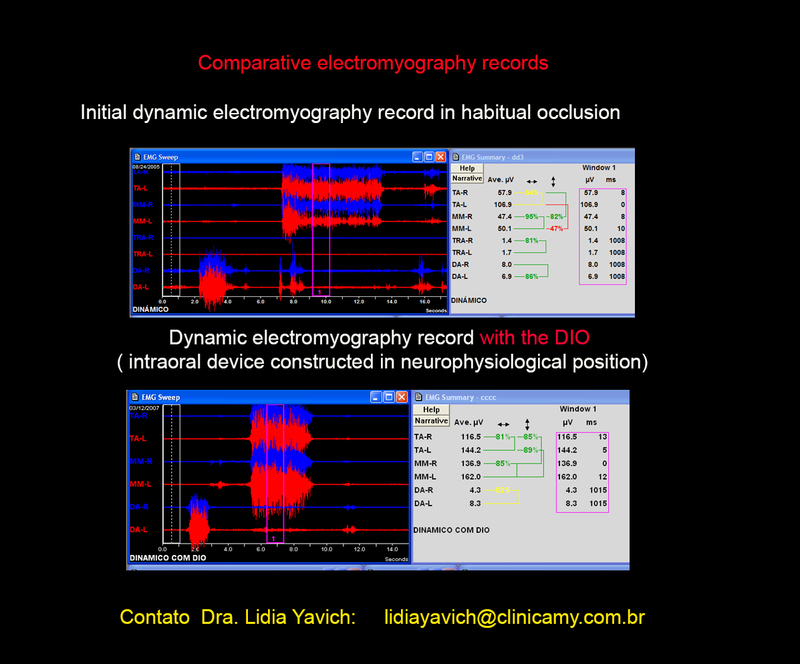 Surface electromyography, dynamic record in habitual occlusion. We ask to the patient to open the mouth, to close the mouth, to bite strong and to swallow. In this patient’s electromyography record we observe little activity in the masseters and anterior temporalis. 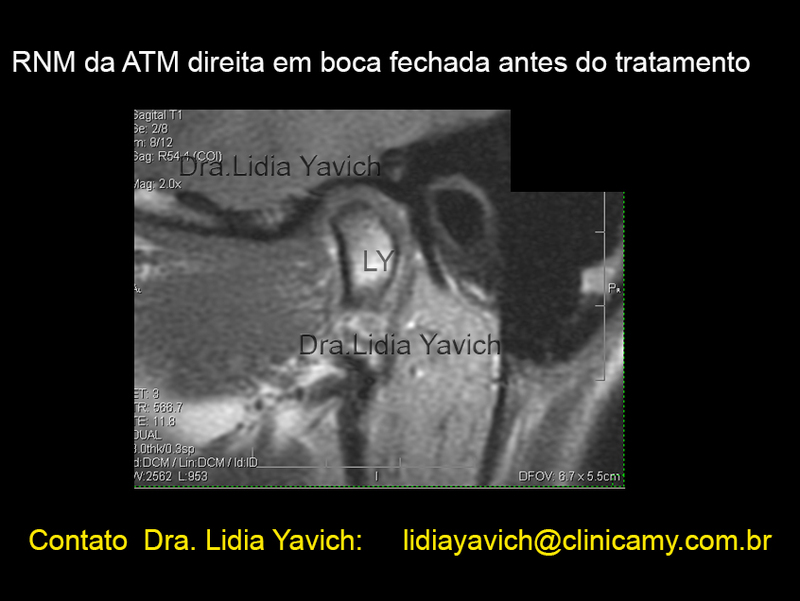 We can also observe asymmetry between the right and left temporalis. It is obvious that the masseters have a loss of activity in the middle of the maximal occlusion. 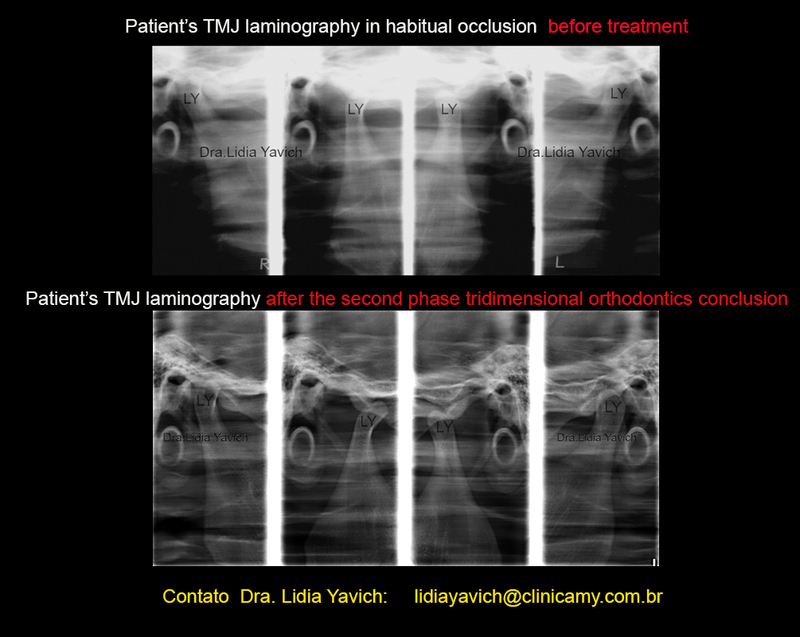 TMJ laminography of the patient before treatment in habitual occlusion and opening. 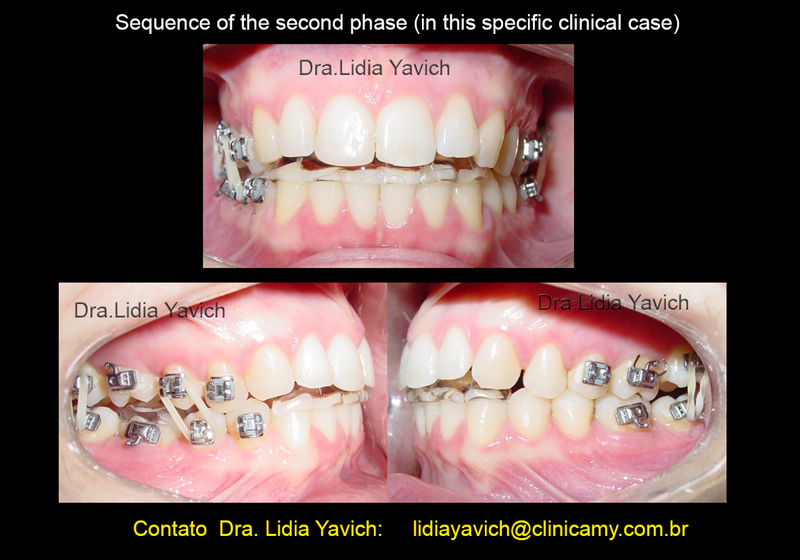 Asymmetry of the mandibular heads. Superior and posterior position of the articular process of the right side in the joint cavity, provoking a retrodiscal compression. 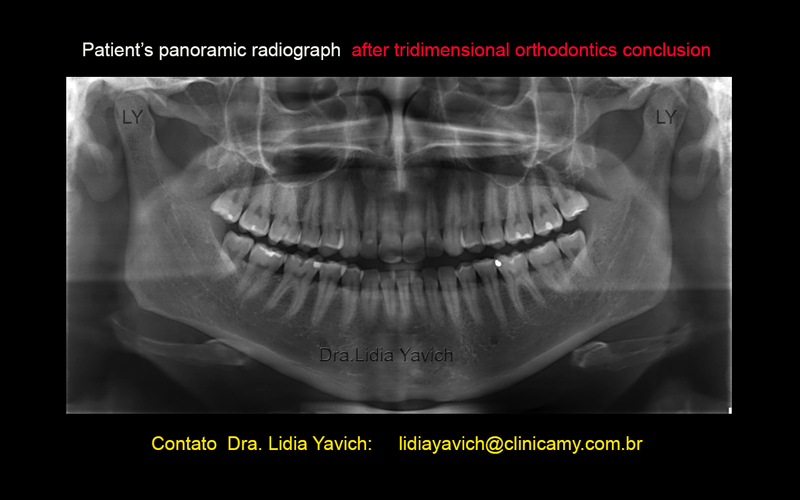 We observe asymmetry between the left and right mandibular heads. 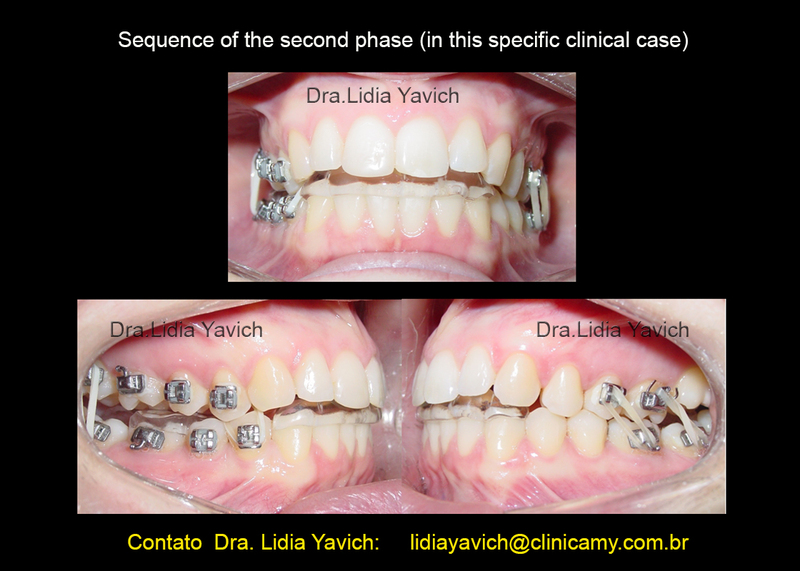 Alteration of the axis of the right mandibular condyle. When I was 5 years old, while I was playing in the pre school class interval I had a traumatism. A seesaw hit my chin when I was playing with another girl. They put ice on my chin to reduce the swelling. There was no much pain or apparent fracture. I did not perform medical tests. Sometimes I wake up and I feel that I´m biting and moving my mandible. If I don´t use the bruxism splint to sleep I brake the resin of my teeth. The splint protects the resin, BUT DOESN´T ALLIVIATE THE PAIN. 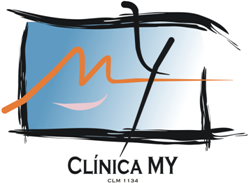 The website of the Clinica MY www.clinicamy.com.br has the links for both articles. . Alterações na Orientação do Côndilo Mandibular Devido a Traumatismos na Primeira Infância (Portuguese). 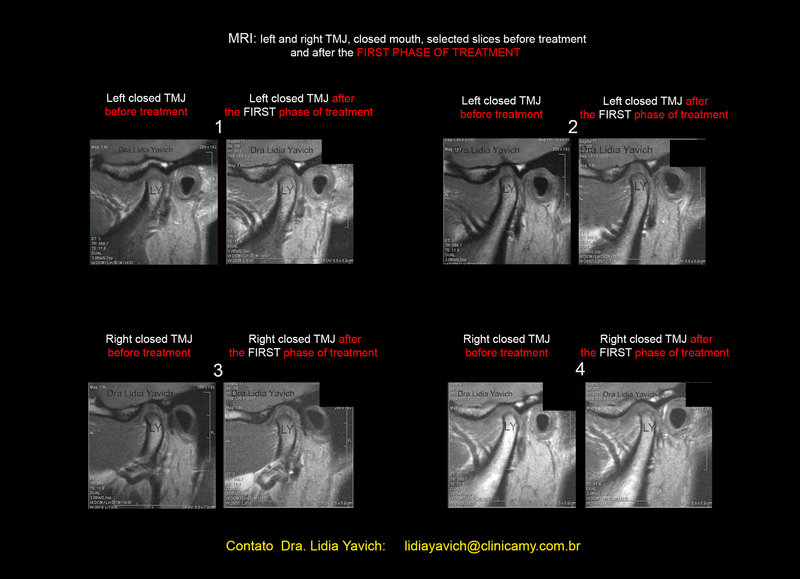 Clinic case presented in the 4th edition of the Brazilian Journal of TMJ, occlusion and Orofacial Pain, October/ December 2001. 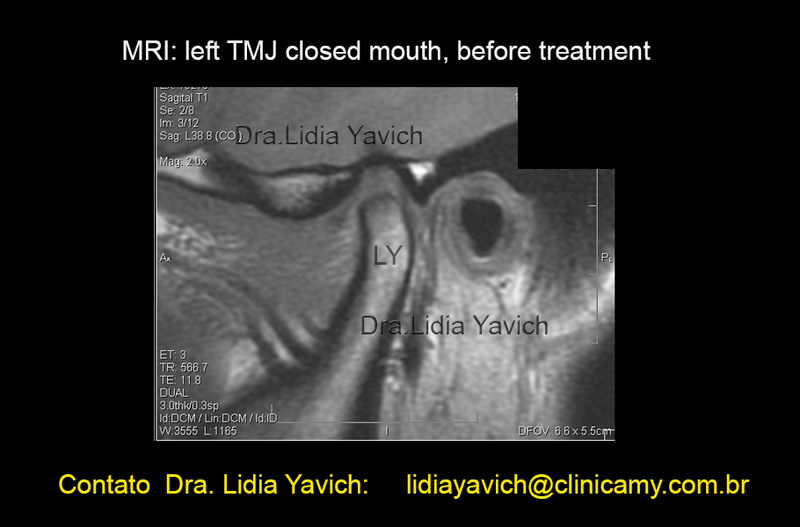 MRI: left TMJ closed mouth lateral slice. 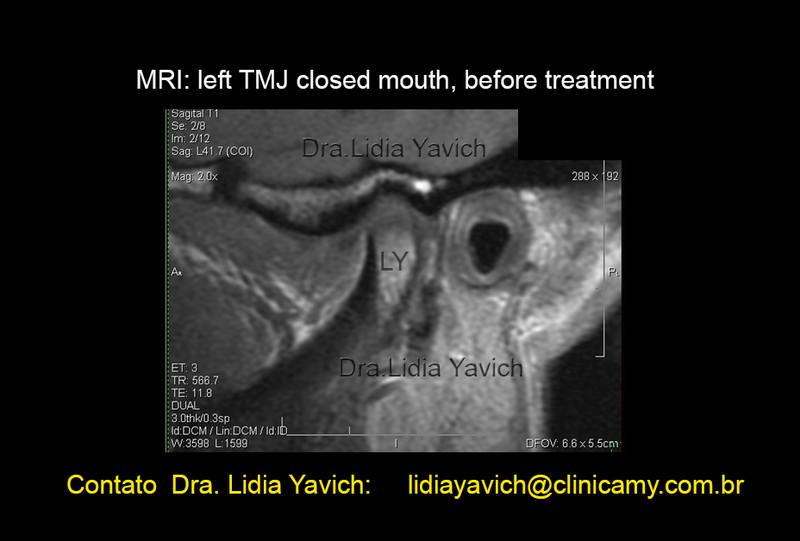 MRI: left TMJ closed mouth slice. 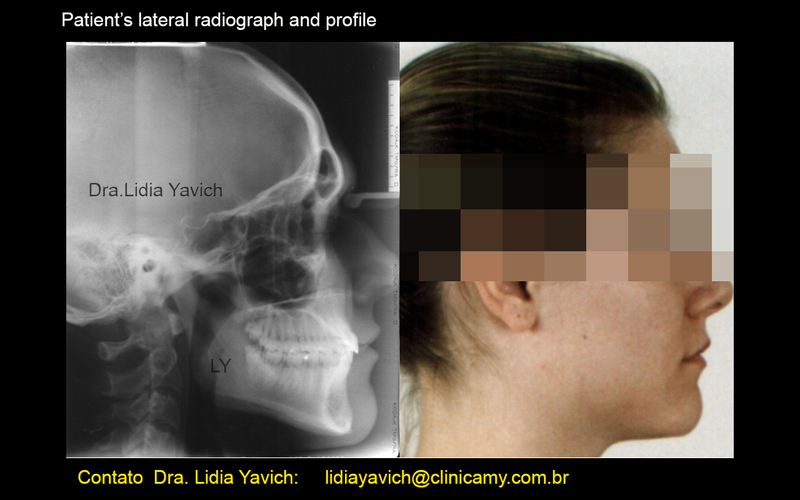 MILD IRREGULARITY OF THE CORTICAL BONE OF THE MANDIBULAR HEAD. MRI :left TMJ closed mouth . Medial slice. Low signal in the head of the mandible bone marrow. The patient had a history of tonsillitis and otitis repetition. When we requested for an ASO the exam showed high values, for which because of that she was medicated. 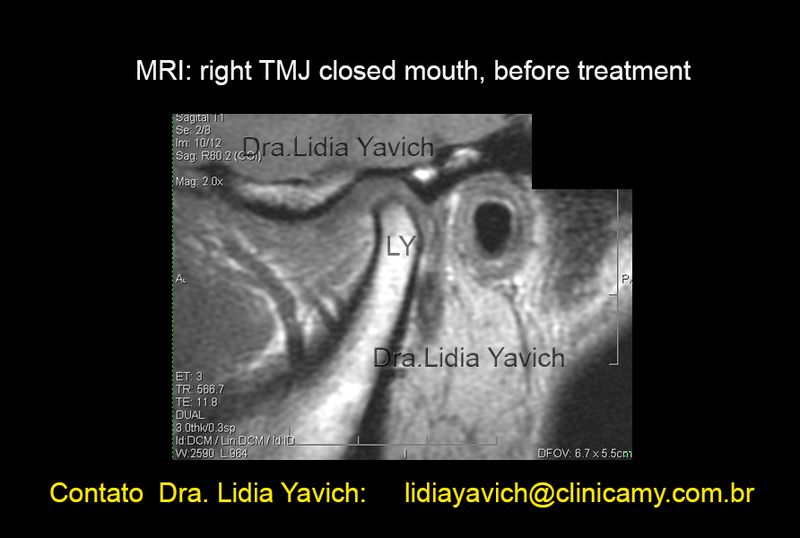 MRI :right TMJ closed mouth medial slice. 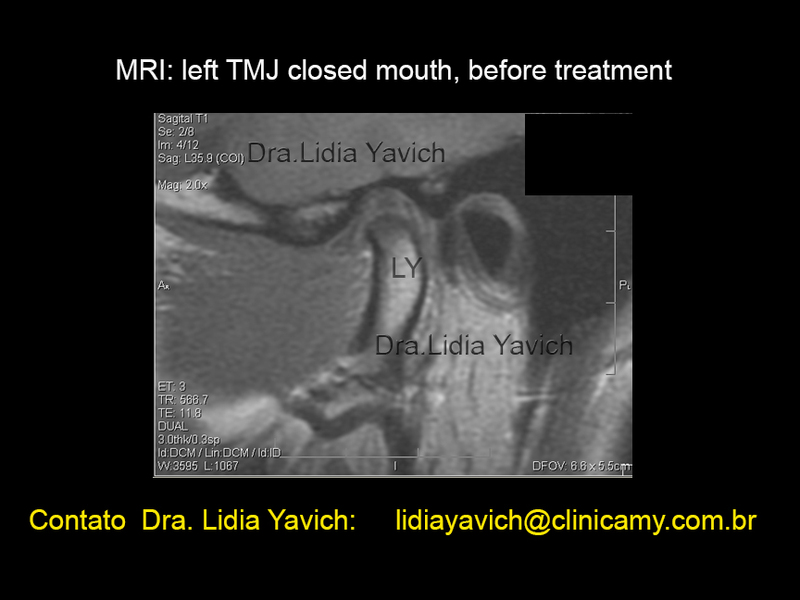 MRI: right TMJ closed mouth slice. Superior facet of the mandible head. Mild dislocation of the articular disc and retro position of the condyle. 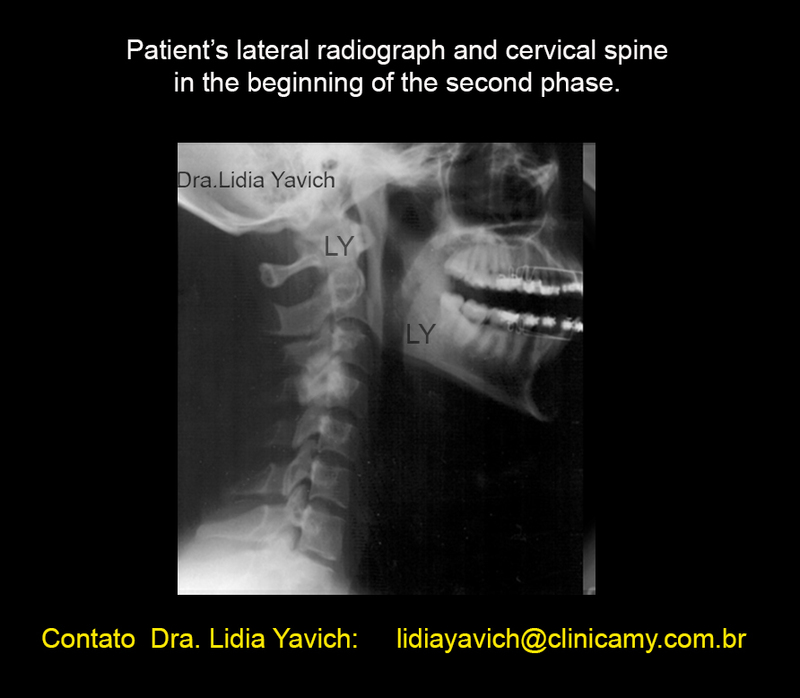 Lateral radiograph and patient’s profile The lateral radiograph including the cervical spine shows it´s rectification (loss of the physiological lordosis). Mild curvature inversion at C4. Patient’s masticatory muscles were electronically deprogrammed and a bite in a neurophysiological position was registered using a jaw tracker.For the bite registration record we always use the information of the images obtained and the planned goals for each individual case. 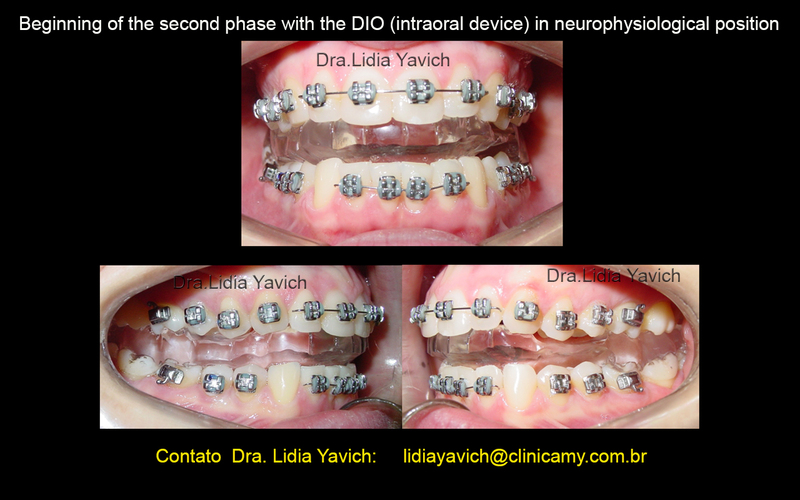 A DIO (Intraoral Device) was constructed in a neurophysiological position. 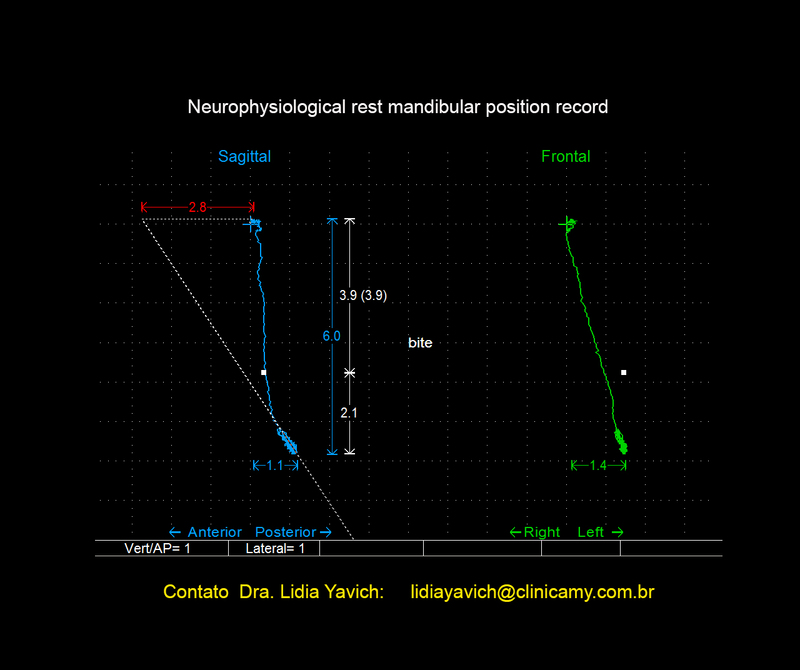 The website of the Clinica MY www.clinicamy.com.br has the link for the article Neuromuscular Principles in Dentistry, Habitual Trajectory coincident with the Neuromuscular Trajectory. Princípios Neuromusculares na Odontologia, Trajetória de Fechamento Habitual Coincidente com a Trajetória de Fechamento Neuromuscular (Portuguese) Brazilian Journal of TMJ, occlusion and Orofacial Pain, April/ June 2002. 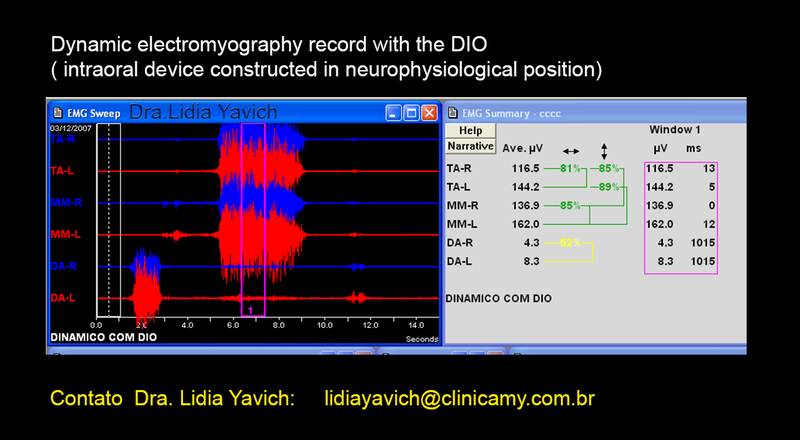 Patient’s electromyography record with the DIO ( intraoral device) constructed in neurophysiological position). Observe the excellent muscle activity with the device. 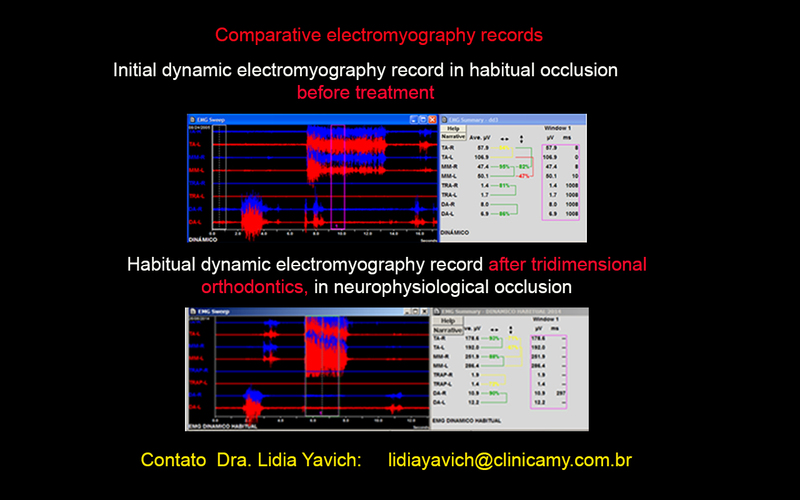 Patient’s electromyography records comparison: the first in habitual occlusion and the second with the intraoral device in neurophysiological position. In the lower record the masseters present excellent activity with the device, even more if we compare the initial record where the masseters lose activity in the middle of the maximal occlusion. Some MRI selected slices : before treatment and after de FIRST PHASE. 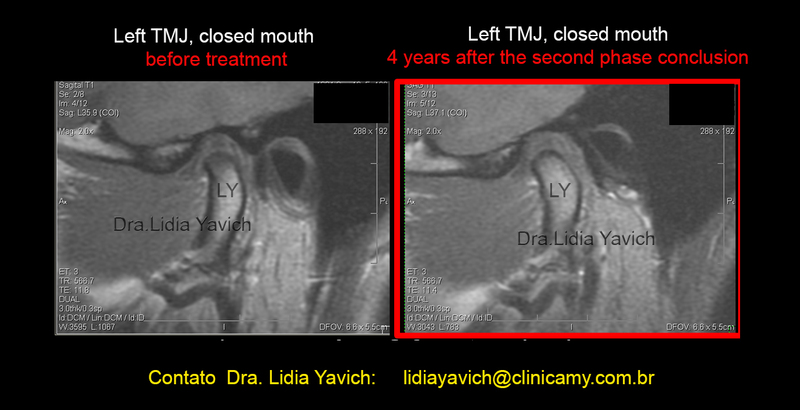 We need to be aware of the planned goals for this patient with joint hypermobility and a sequel of traumatism in infancy where we can see low signal in the head of the mandible bone marrow. 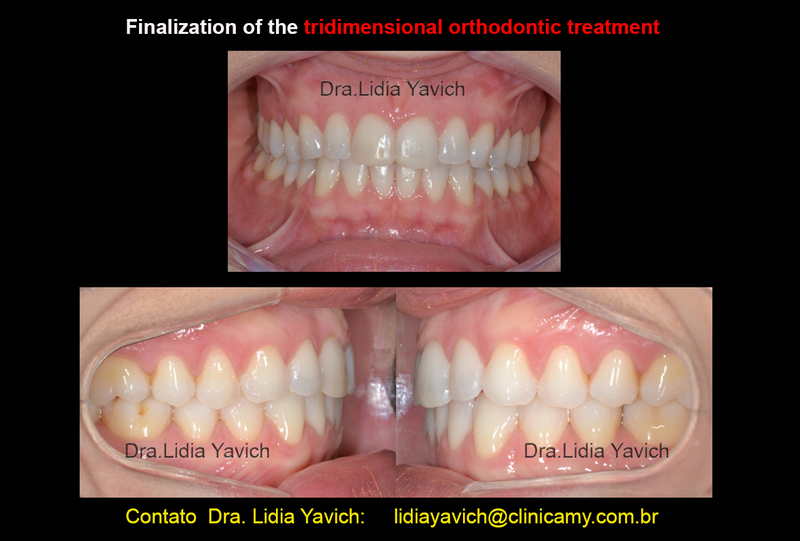 Better tridimensional placement of the mandibular condyle. Closing dental trajectory coincident with the muscular closing trajectory. Image 1: improvement of the left condyle upper pole cortical bone in this lateral slice. 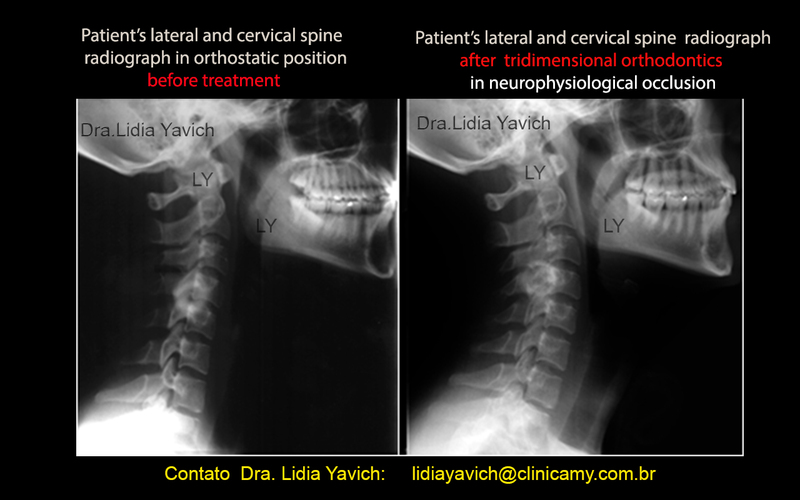 Image 2: improvement of the left condyle superior pole cortical bone, bone marrow signal improvement, positive remodeling of the condylar posterior surface. 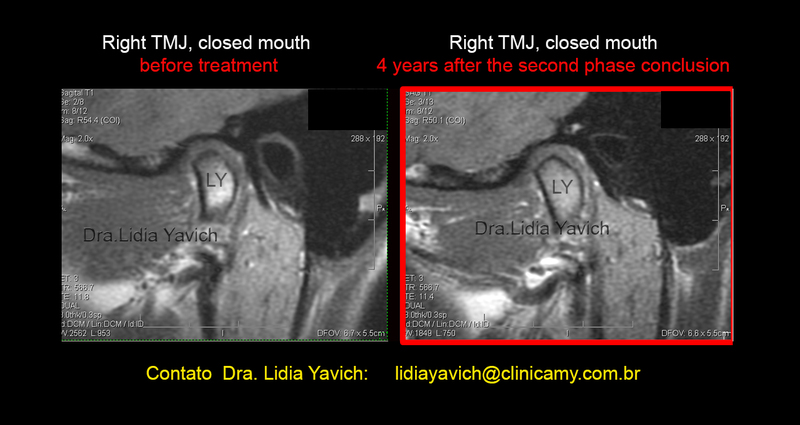 Image 3: Improvement of the bone marrow signal and positive remodeling of the condylar posterior surface. Image 4 : Positive remodeling of the superior pole and posterior surface of the head of the mandible. A tridimensional orthodontics needs to maintain the tridimensional mandible position in balance with its osseous and muscular planes obtained in the FIRST PHASE, and always when possible it has the purpose to maintain the temporomandibular joint in a harmonious relation with the mandibular fossa as well as the disk in a correct position. In this image there is no recovery of the lordosis but yes, an improvement of the mild curvature inversion at C4. 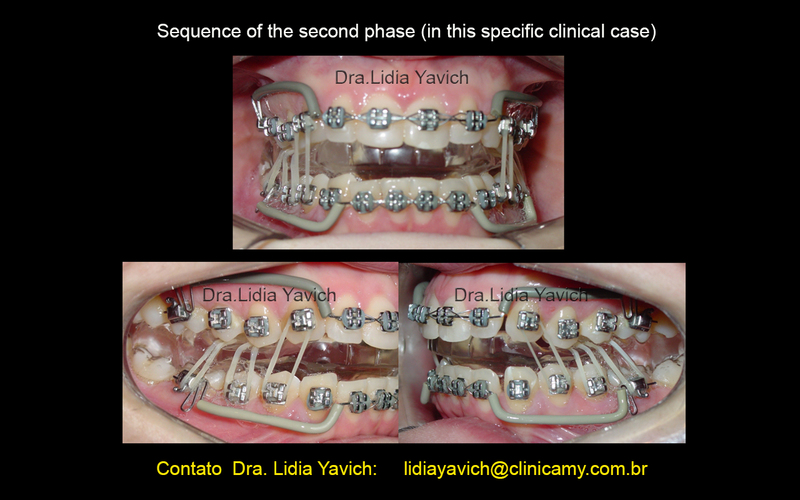 Tridimensional orthodontics sequence in the second phase of TMJ pathologies treatment, in this specific patient. REMEMBER THAT NOT EVERY CASE WILL ALLOW YOU TO ADVANCE TO A SECOND PHASE. 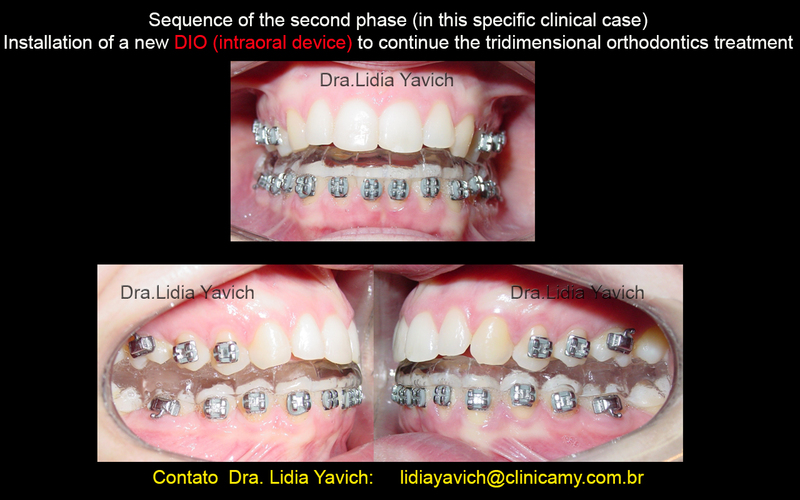 Active eruption in the tridimensional orthodontics. 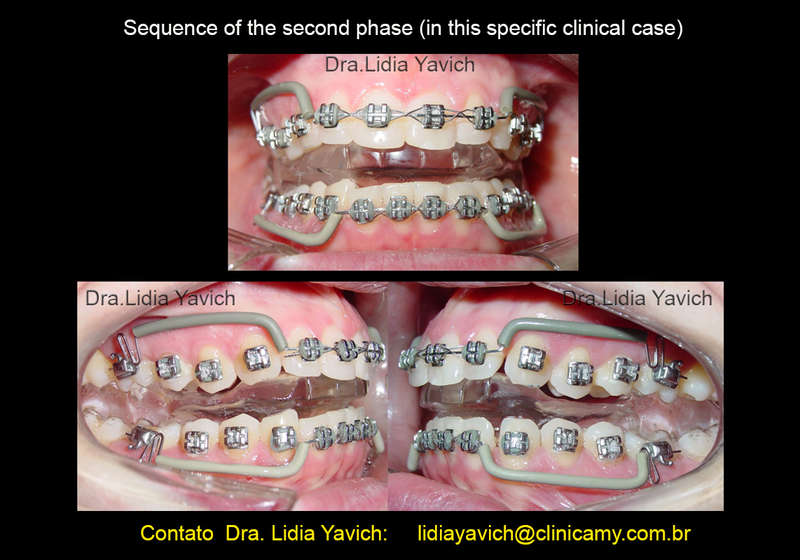 Active eruption in the tridimensional orthodontics. 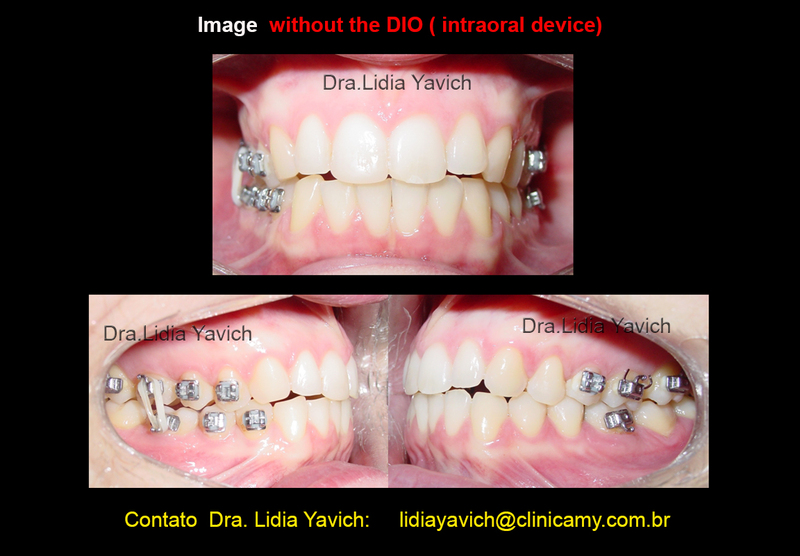 Continuation of the tridimensional orthodontics with sequence of intraoral devices New DIO (intraoral device) for the continuation of the tridimensional orthodontics. 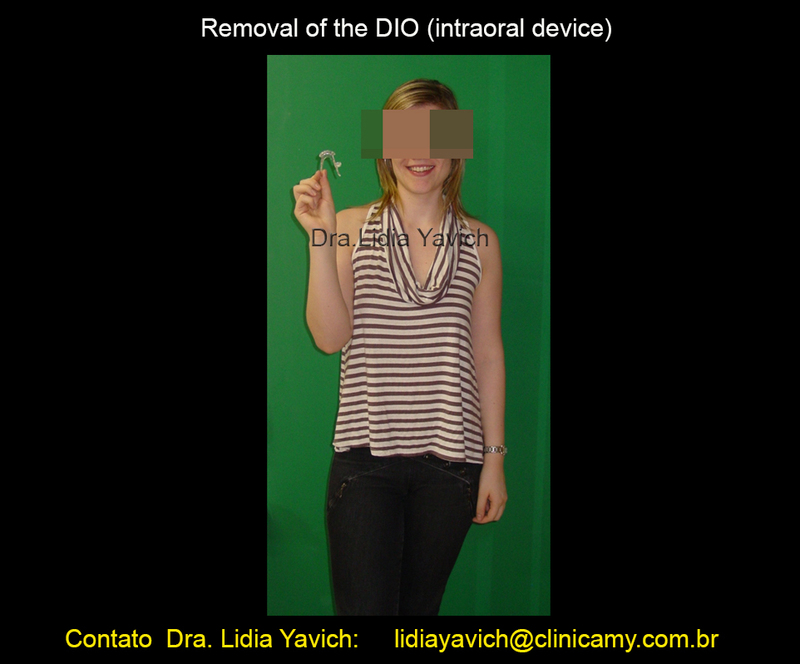 Removal of the DIO ( intraoral device) Image without the intraoral device. 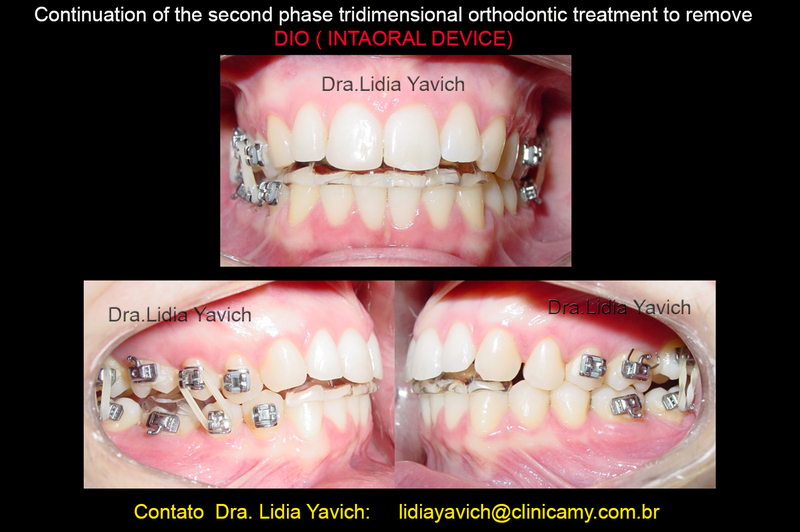 Tridimensional orthodontics treatment finalization in neurophysiological occlusion. Patient’s occlusion image in neurphysiological occlusion after treatment finalization. 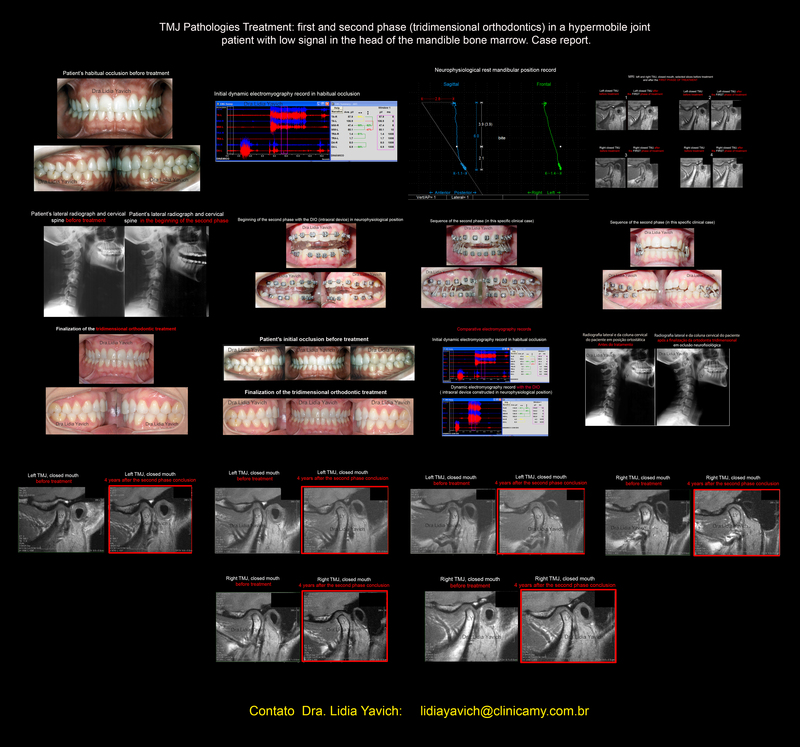 Comparison with the initial occlusion image. 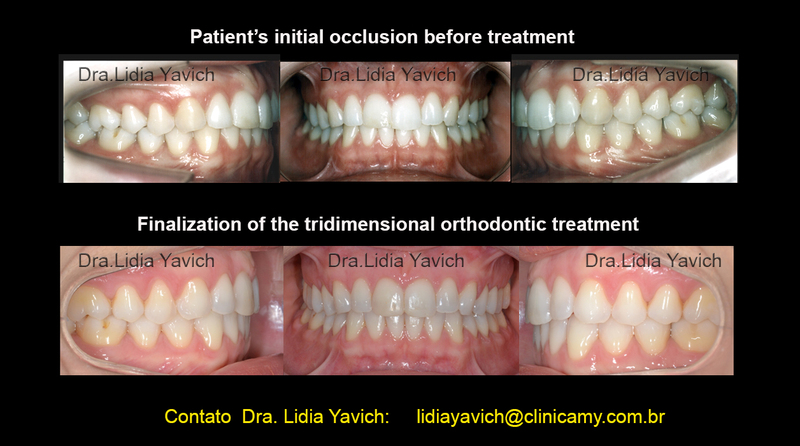 Patient’s electromyography records comparison: the first in habitual occlusion before the FIRST PHASE and the second AFTER THE TRIDIMENSIONAL ORTHODONTICS TREATMENT FINALIZATION. The masseters present excellent activity comparing with the initial record where the masseters lose activity in the middle of the maximal occlusion. 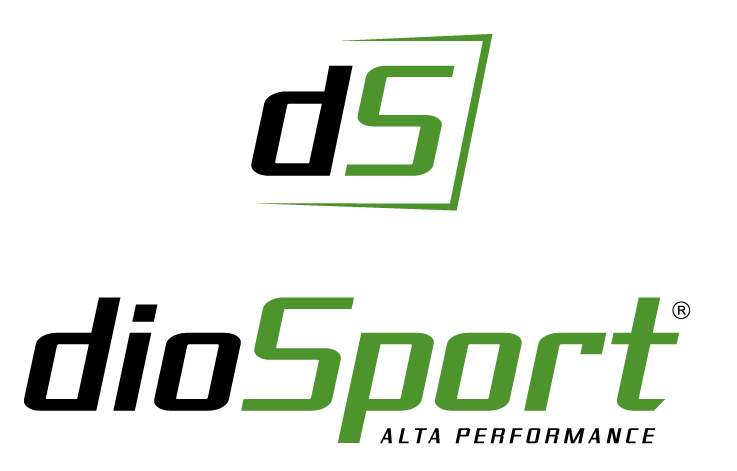 Also the masseters present better potency than the temporalis. 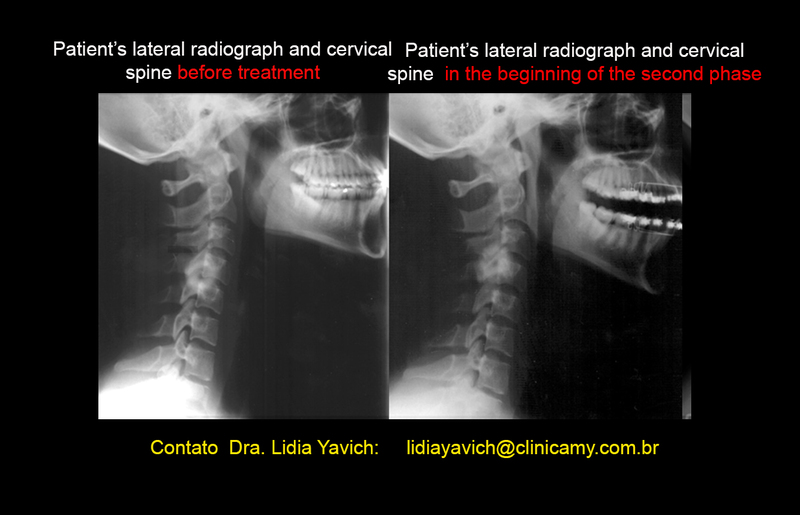 Patient’s lateral and cervical spine comparative radiograph: before the FIRST PHASE and in the TRIDIMENSIONAL ORTHODONTICS FINALIZATION. 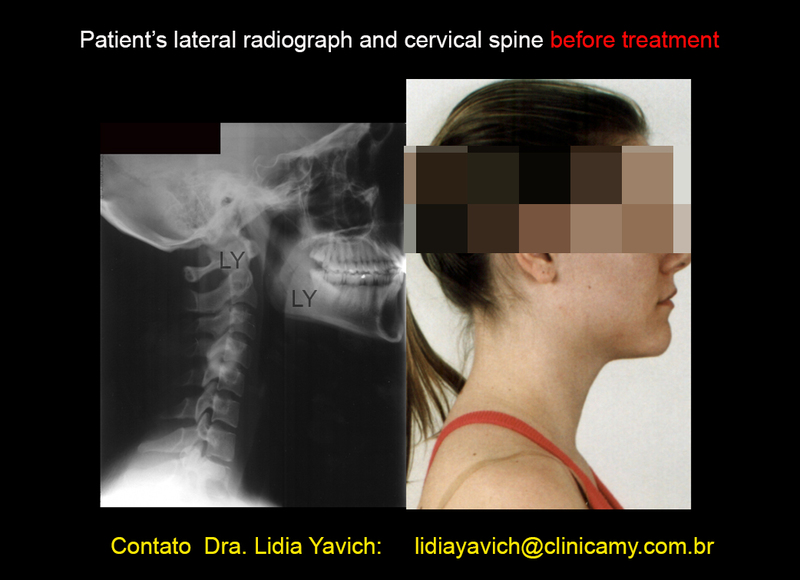 Notice the cervical lordosis improvement. 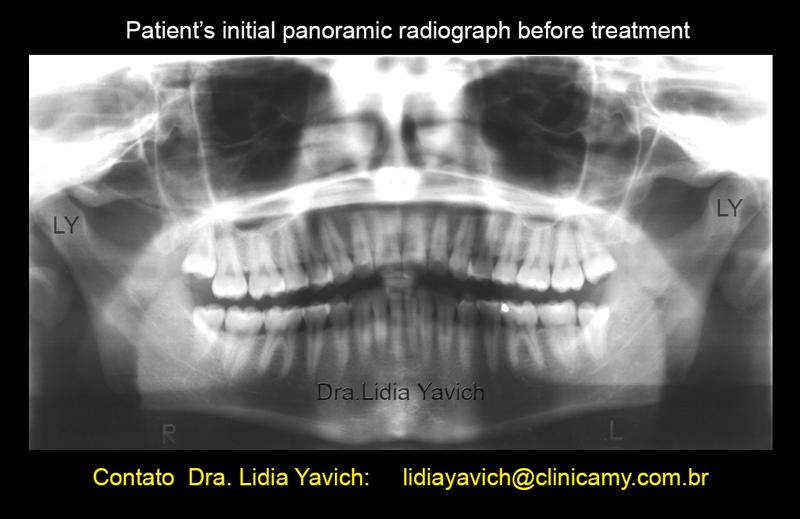 Patient’s comparative laminography: initial in habitual occlusion where we can observe the retro position of the mandible heads, and the tridimensional orthodontics finalization laminography. 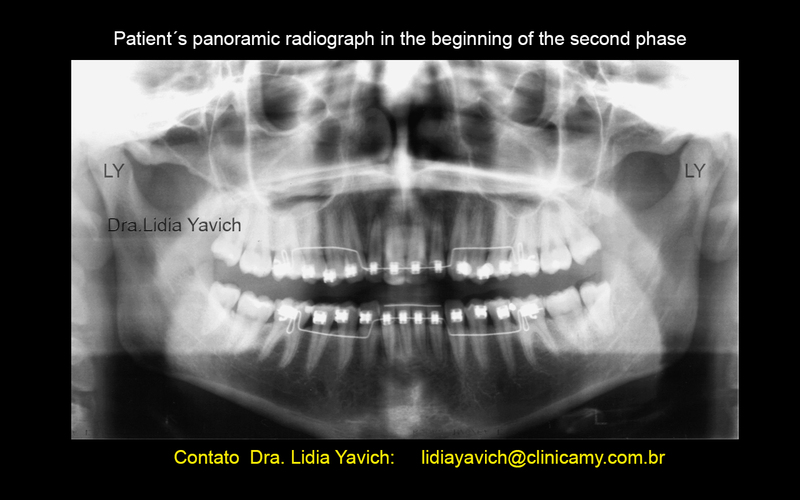 Patient’s panoramic control radiograph after the TRIDIMENSIONAL ORTHODONTICS finalization. 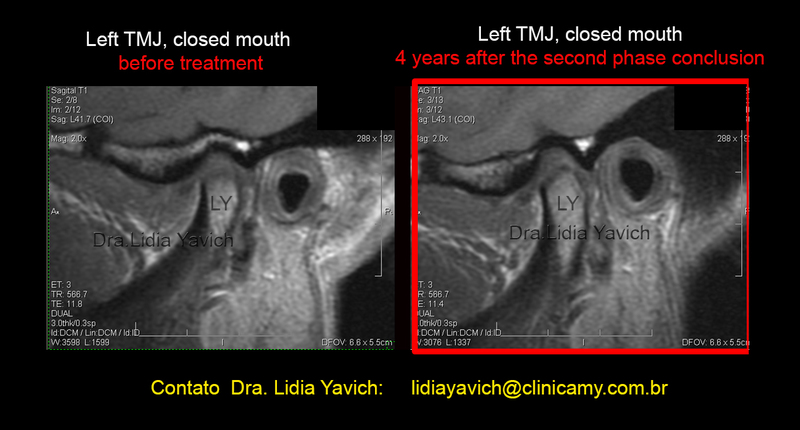 Left TMJ, closed mouth before treatment and left TMJ, closed mouth 4 YEARS AFTER THE TRIDIMENSIONAL ORTHODONTICS FINALIZATION. 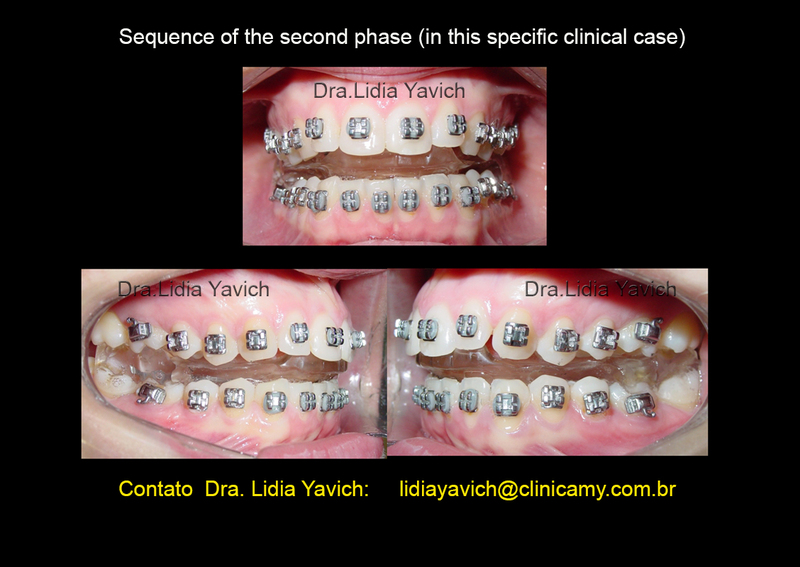 Left TMJ, closed mouth before treatment and left TMJ, closed mouth 4 YEARS AFTER THE TRIDIMENSIONAL ORTHODONTICS FINALIZATION. 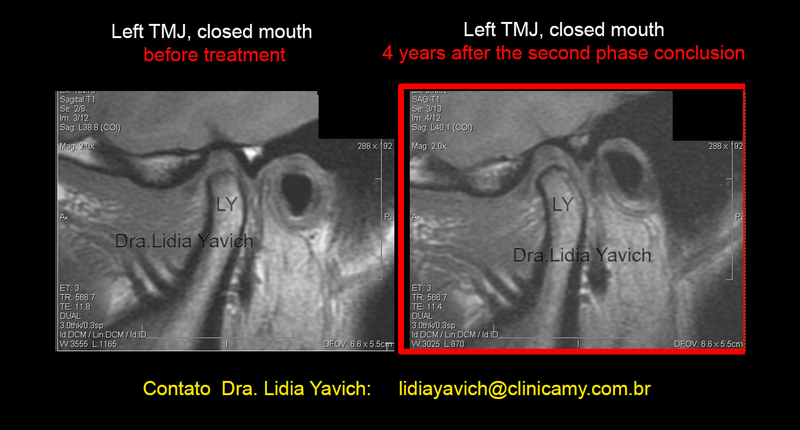 Left TMJ, closed mouth before treatment and left TMJ, closed mouth 4 YEARS AFTER THE TRIDIMENSIONAL ORTHODONTICS FINALIZATION. 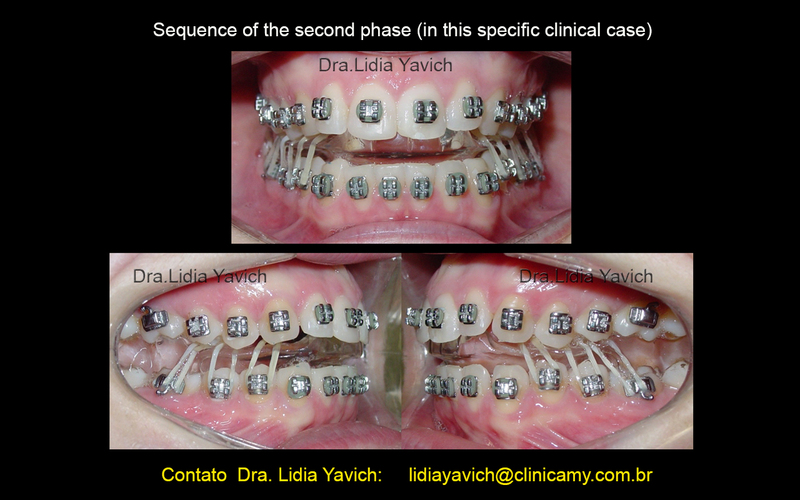 Right TMJ, closed mouth before treatment and right TMJ, closed mouth 4 YEARS AFTER THE TRIDIMENSIONAL ORTHODONTICS FINALIZATION. 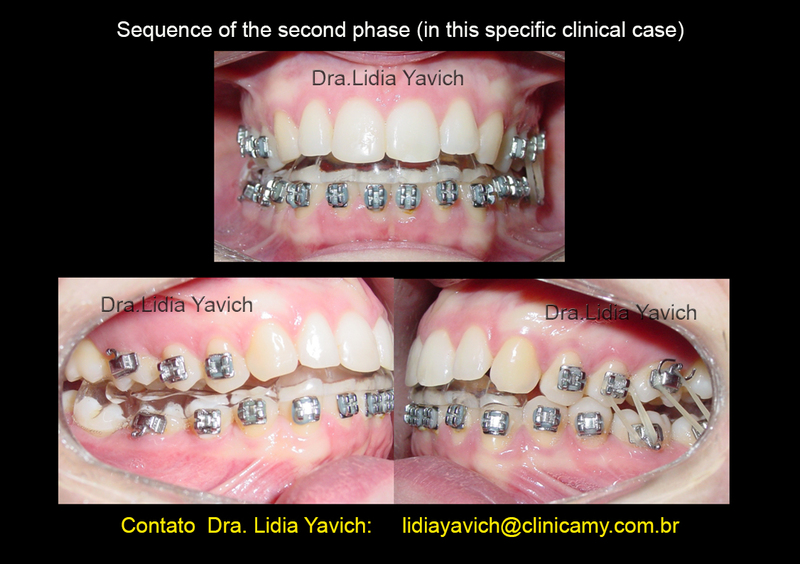 Right TMJ, closed mouth before treatment and right TMJ, closed mouth 4 YEARS AFTER THE TRIDIMENSIONAL ORTHODONTICS FINALIZATION. 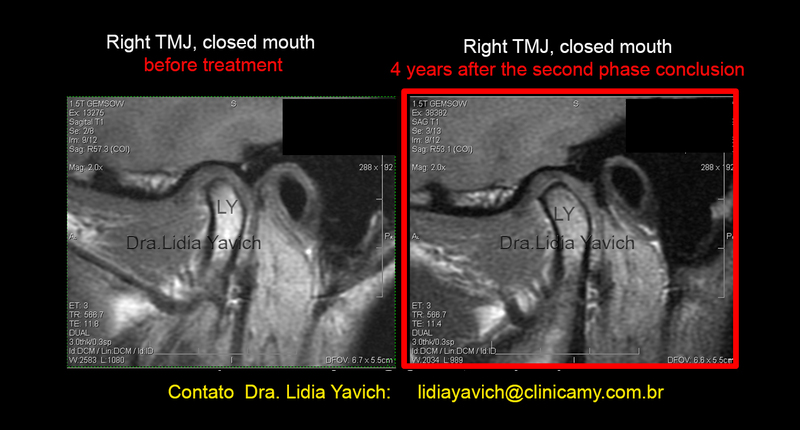 Right TMJ, closed mouth before treatment and right TMJ, closed mouth 4 YEARS AFTER THE TRIDIMENSIONAL ORTHODONTICS FINALIZATION.